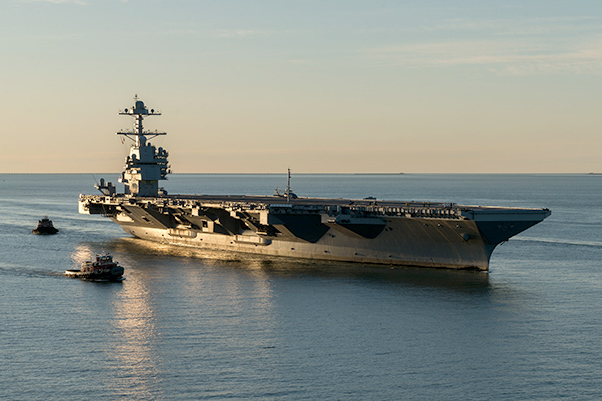 The future USS Gerald R. Ford (CVN 78) departed Naval Station Norfolk for its second set of sea trials, known as acceptance trials (AT) May 24. 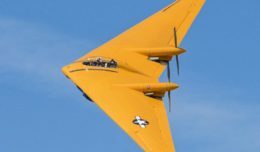 Acceptance Trials demonstrate to the Navy’s Board of Inspection and Survey (INSURV) the ship’s ability to conduct operations at sea and that the ship is constructed in accordance with contract specifications. Over the next several days, CVN 78 Sailors will operate many of the ship’s key systems and technologies, overseen by INSURV and the Navy’s Supervisor of Shipbuilding, Conversion and Repair and accompanied by shipbuilders from Huntington Ingalls Industries-Newport News Shipbuilding.